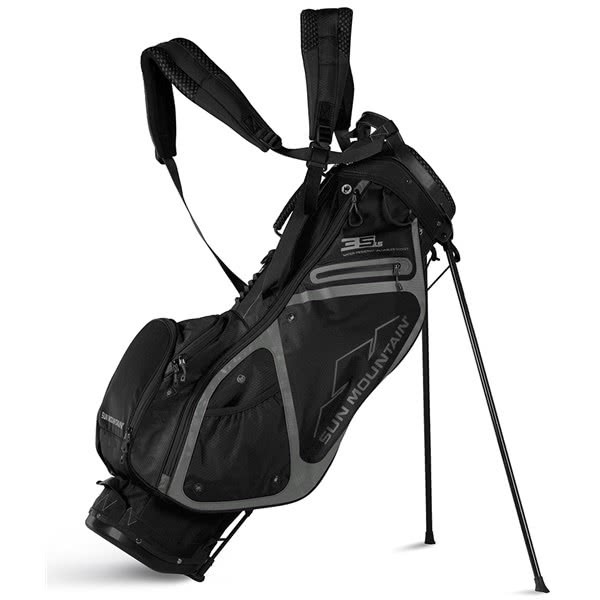 The Sun Mountain Three5 LS stand bag has been created for the golfer looking to carry and wants to maximise comfort and storage. 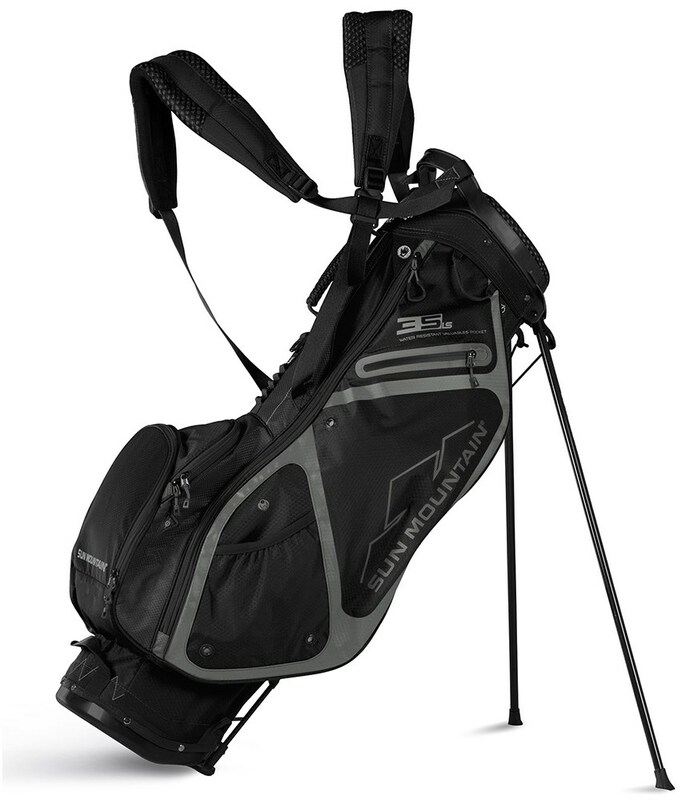 Sun Mountain have used a lightweight and durable fabric to create the Three5 LS stand bag. 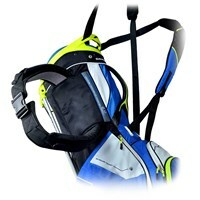 It features a 4-way, full-length divider top that provides enough space for a full set of clubs. A total of 5 easy access pockets have been used in the design layout, those pockets include a full-length apparel pocket, a water-resistant pocket and a Velour-lined valuables pocket as well as a couple of smaller accessory pockets. All of the pockets feature easy grab pullers for ease of use when you are wearing a glove or your hands are cold. To maximise carrying comfort Sun Mountain have used the X-Strap Dual Strap System, this strap technology utilises a high density foam padding for increased comfort and provides excellent balance when full loaded. A top mounted stand mechanism featuring carbon fibre legs helps keep the weight down and produce incredible stability on all types of surfaces and lies.